Sick of dull complexion? Lighten up! Here is the answer for a glowy and an incredibly gorgeous skin that you’ve been looking for. Fling yourself into a sip of red wine and look at the magic. We all know how a glass of red wine benefits our health. Besides, red wine is also one of those surprising ingredients in natural skin care routine which many are unaware of. 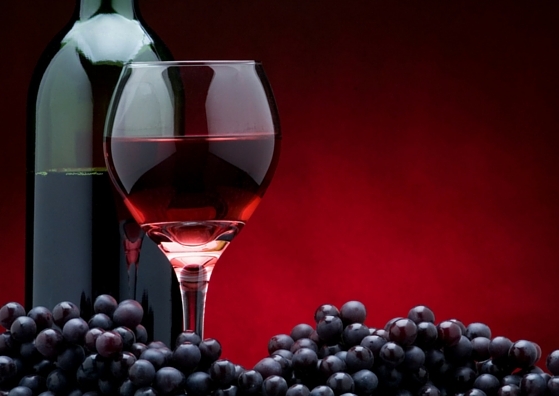 This article provides a better understanding of red wine benefits for skin. Red wine for glowing skin is also listed among top ten foods. There are many varieties which include cherry, plum, strawberry, raspberry, gooseberry, raisin, fig, currant, etc. Wine contains antioxidants like flavonoids, resveratrol, and tannin that help to get the toxins out of the skin. Resveratrol, in particular, is an antimicrobial substance that has recently become a subject of intense interest due to its powerful antioxidant and anti-aging properties. Here are a few amazing red wine benefits. One of the most incredible benefits of drinking red wine is a healthy glowing skin. However, the consumption should be moderate. It is not advisable to take more than one glass of alcohol for women and two glasses for men. Red wine consists of higher antioxidants which provide smooth and glowing skin. It also contains thousands of polyphenols that prevent cell oxidation. 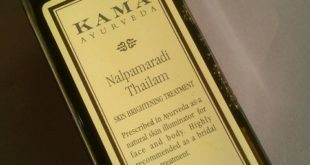 This helps to add a natural and youthful glow to dull skin. As a matter of fact, some parlors provide red wine facials which would cost from Rs.1000. Or you can simply try a wine facial at your home by applying some red wine either directly on your skin, or you can mix it with some oatmeal and leave it on for a few minutes. This treatment will help remove dead cells and leave you with a glowing skin. Aging is something very inevitable. But relax. Recent research on red wine has shown that it works as an anti-ageing agent, delaying the ageing process. Not just that, red wine also protects your skin from premature aging. It fights off free radicals that cause wrinkles and fine lines. Flavonoids in red wine restore collagen and elastin throughout the body, thus clearing wrinkles and preventing skin sagging. Acne is the common cause of spots. Though there are many possible ways to treat acne, red wine does it easily for you. The presence of Resveratrol found in grapes (that are used to make red wine), lessens the growth of bacteria that causes acne. The higher concentration of this active ingredient helps to get rid of acne. It reduces inflammation of the skin and prevents the damage caused by free radicals. Thus, the ultimate result is that you can score your desired blemish-free skin. Sipping a moderate amount of red wine has also been linked to a longer, healthier life. No more worries about going out in the sultry weather. Red wine acts a sunscreen as it blocks the penetration of harmful ultraviolet rays into the skin. The antioxidants in red wine form a protective layer over your skin, thus preventing sun damage when you go out in the sun. However, you need not necessarily skip the use of sunscreen, use it as additional protection. Surprisingly, this prevents the risk of skin cancer too. This is something that woman would never say NO to. Red wine does make an amazing facial toner. Wine facial helps in skin tightening. Using red wine for skin whitening is nothing new. Wine facial is applicable to all skin types. There are also some easy and affordable face packs that you can try at home. All you have to do is, soak a cotton ball in some red wine and rub it on your face. Leave it on for about 20 minutes and then wash it off. Or try one of the simple face packs explained below. Combine these four ingredients and give a good stir until they are all evenly combined. Apply this mixture all over your face and massage into your skin for about a minute. Leave it for 10 minutes and rinse off with warm water. Remember, when red wine is consumed regularly in moderate amounts and when you pamper your skin with simple wine facials, you are sure to see the incredible red wine benefits for your skin and body! A dynamic person, I manage time efficiently. The laws of physics doesn’t apply to me because I establish a good chemistry with my pals. My love for writing is ineffable but I can’t write an award winning opera though. I am an abstract artist, a concrete analyst and a ruthless bookie. I cook thirty minute brownies in twenty minutes. Besides, I am addicted to a drug called travel. It’s really trippy. Years ago I discovered the meaning of life but forgot to write it down. If Literature is a river then English is my stream. I am Archana, MA.